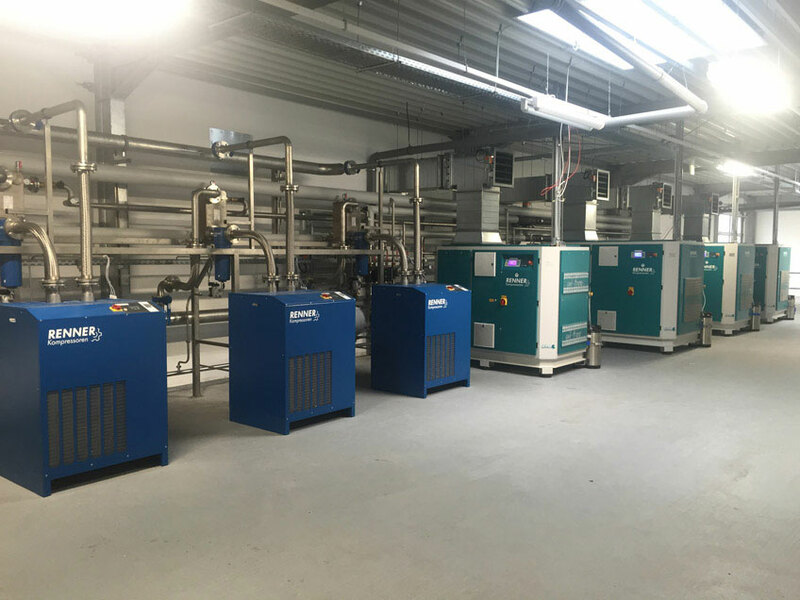 With our “Technische Gebäudeausrüstung (TGA) aus einer Hand“, “Complete Building Solutions“, KB Kälteberatung provides a complete service for cooling, air conditioning and energy technology as well as for the sanitary, electrical, ventilation and heating sectors. This means we take care of everything, from the basic evaluation, through the various stages of planning and contracting, to system monitoring and support and much more. KB KälteBeratung provides exact, structured and expert planning. For planning, the HOAI provides five service phases: “basic evaluation“, “pre-planning“, “conceptual design“, “approval planning“ and “detailed design“. Further service phases are “preparing award of contract”, “assisting with award of contract”, “site supervision” and “site support and documentation”. The “basic evaluation“ includes amongst other things, clarification of which systems are required, which resources – also from a financial point of view – are necessary etc. This may sound trivial, but it is anything but! The answers to these questions are the basis for securing optimised costs (investment, energy, maintenance costs etc.) and with this, considerable decision making criteria for the whole future process. Within the framework of “pre-planning“ the basics which have been determined are carefully analysed and the remit corresponding specified. In the “conceptual design“ phase, the pre-planning concept becomes clear, tangible and defined and, above all, is presented in a manner which is ready for approval with a consolidated cost calculation. There then follows the “approval planning“ whose aim is to obtain approval for the planning concept. For this we naturally have certified experts. In the “detailed design“ KB KälteBeratung guarantees a comprehensive description of the planned system. As well as cost control, there is the assurance that the systems are implemented as planned. In the “preparing for award of contract“ the focus lies in listing the specifications. Within the framework of “assisting with award of contract“, tenders are assessed and bidders negotiated with as well as concrete recommendations regarding the awarding of the contract. At the end of this phase, the compiled and complete award and contract documents are collated. Our activities in “site supervision“ (overseeing implementation) encompass the time needed for coordination, documentation and on-site inspection for all the work necessary in constructing the systems which have been commissioned. This includes inspection by the authorities and handing over to the operators. We will also take over on-site construction management, supervise assembly quality for you as well as taking care of invoice control including target-performance comparison. In the last service phase “site support and documentation“ we reduce your costs through pro-active servicing management. Through monitoring and on-the-spot checks, we go far beyond the standards of the HOAI and demonstrate the optimisation potential of your system. At KB KälteBeratung we call these services “Complete Building Solutions“. Furthermore, we offer services such as “planning“, “testing and coordination“ “supervision“, “experts’ activities“ and “subsidies“. We will be glad to advise you on the ideal solution for your requirements.